I'll be back at 6pm today Sunday with this gorgeous set, brilliant for winter birthdays too. I would hate you to miss out on this set as it is simply beautiful. This is a couple of the cards that I made on yesterday's shows. This is one from the robin topper sheet, the gold center embellishment was made with hot glue and the diamond sparkle glitter. 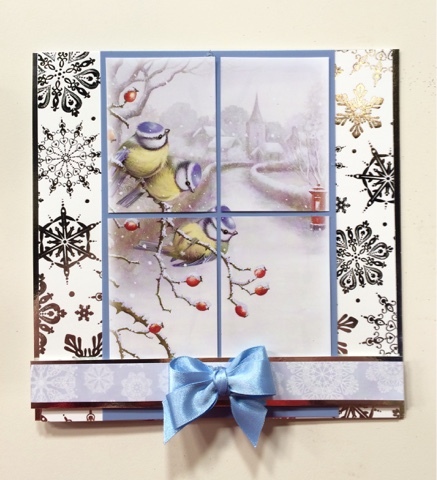 This next card was made using a sheet from the Little Book of Festive Birds and the Book of foiled backgrounds. As you can see this set has stunning artwork. 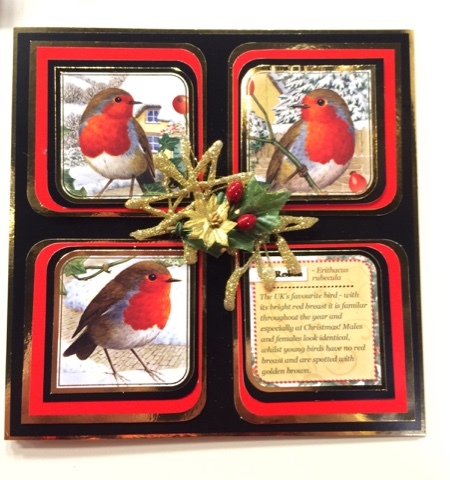 Hi Jak, i love robins and wow beautiful results!! have not seen you for ages but so nice to see you with these pretty cards from Honkydory. Stunning artwork & even more stunning creations! Managed to catch just a quick 5 mins of the show!